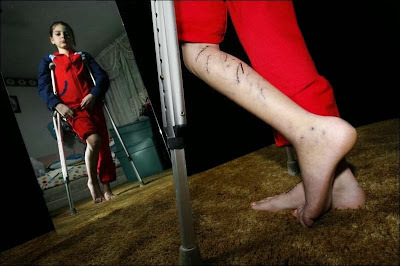 OHIO -- Nicole Brown is adamant that she walk up the short staircase in her home by herself, using crutches to take the pressure off her battered legs. An independent 12-year-old girl, she also resists her mom's attempts to make sure that she elevates her bruised and swollen feet when she's lounging on the couch. But despite her desire to go at life as usual, Nicole knows she's can't - at least for now. Nearly two weeks after she was attacked by a neighbor's dog, the Oregon girl is still recovering from the ordeal. Dozens of stitches close 2-inch gashes on her legs and therapy sessions three times a week help her get used to the aching pains. As the debate about pit-bull laws continues to gather heat in the community in the wake of an Ohio 6th District Court of Appeals decision last week, Nicole said she wanted to share her story. 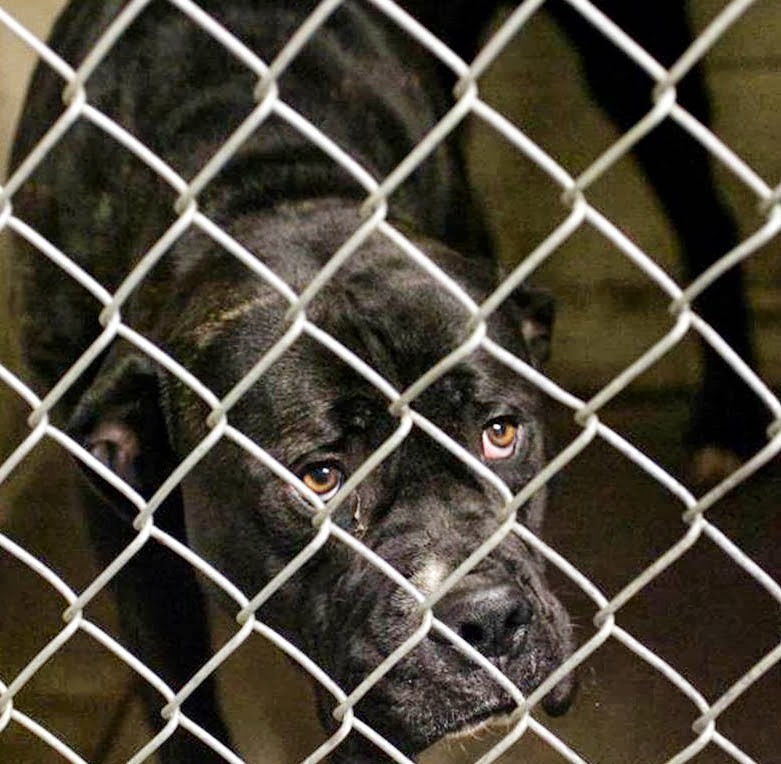 The dog that attacked her, a 1-year-old Presa Canario/American Bull dog mix, is commonly known as a pit bull, according to rulings from Toledo Municipal Court. "It looked like a bear scratched me all over my legs," Nicole said. While seated in her living room, Nicole spoke of how she was at her friend's house on Feb. 28 - her birthday. The two girls were downstairs and the dog was outside, she recalled. Nicole believes it was her friend's younger sister who let the dog, Tomas, inside the house. According to her testimony and a report taken by the Oregon Police Department, the dog immediately ran downstairs and at Nicole. Jeannie Rivera, the dog's owner, said her family believes the dog may have thought he was protecting the children against a stranger. She said the family has been devastated by what happened to Nicole and she criticized some media reports that suggested that they were raising a vicious dog. The family surrendered the dog to the Lucas County dog warden, and it is expected to be destroyed this weekend after the 10-day rabies quarantine expires. Authorities do not suspect the dog has rabies, but the family and the dog's veterinary hospital could not produce evidence it had received its shot. "This wasn't a vicious dog, this was a family dog," Mrs. Rivera said. Surrendering him "had to be done. Whether he was protecting the kids or not, I'm not willing to take that risk again." Mrs. Rivera said their five children, who range in age from 2 to 13, were home alone for just minutes after she left and her husband was scheduled to arrive home. The attack occurred during that time. Nicole said she was holding her 5-foot, 65-pound body up by a bar positioned near a window sill while the dog was attacking her legs. Her friend, whom she was visiting, was trying to pull him off. When rescue workers arrived, Nicole was sitting on a ledge, her sweatpants ripped off and her legs badly bleeding. According to an Oregon police report, the dog was still combative after emergency crews arrived but was being controlled by a family member. The dog was then put in a cage that was brought downstairs. Pit bull owners and supporters have long argued that one bad dog does not identify an entire breed. 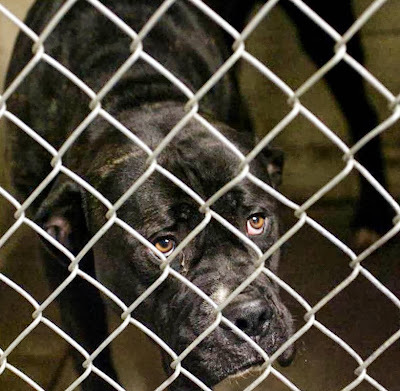 That argument was affirmed late last week when the 6th District Court of Appeals ruled that Toledo's ordinance labeling pit bulls, and dogs commonly known as pit bulls, as vicious dogs was "unreasonable." In Lucas County, where about 62,000 dogs were licensed this year, shepherd mixes topped the list of dogs responsible for the most bites in 2005. Lucas County Dog Warden Tom Skeldon said his deputies will continue to use protocols on how to handle pit bulls but are not able to enforce the vicious dog laws that require the dogs be confined properly, muzzled when they are being walked, and that limit the number of vicious dogs owned.